To configure Monitoring click on Config → Networking → Monitoring. Add new Producers by adding their names. Group - Set name of group. Administrators for notifications - Choose administrators who will recieve notificaitons. 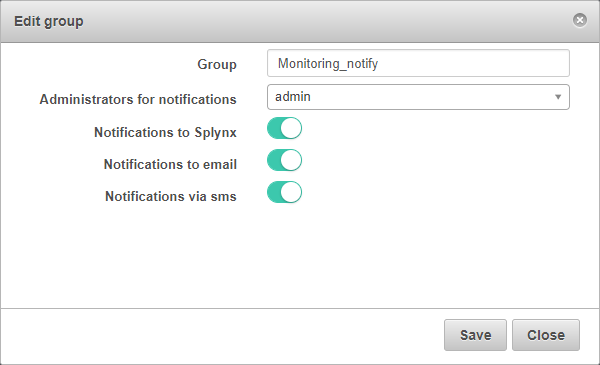 Notifications to Splynx - Enable Splynx notifications. Notifications to email - Enable email notifications. Notifications via sms - Enable sms notifications.